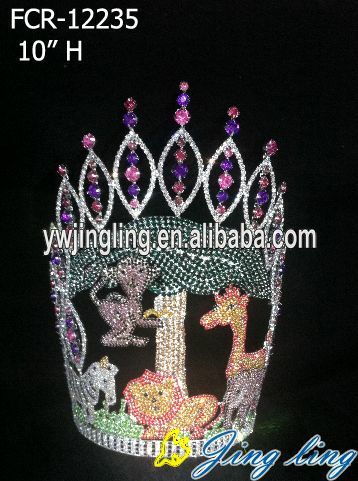 Beauty Pageant Round Rhinestone Crowns, Full Pageant Crown - China Maker. Product categories of 8-10 Full Round Crown, we are specialized manufacturers from China, Beauty Pageant Crowns, Rhinestone Crowns suppliers/factory, wholesale high-quality products of Full Pageant Crown R & D and manufacturing, we have the perfect after-sales service and technical support. Look forward to your cooperation! Large Full Round Crowns with size 8-10 inch height ,kings crowns ,rhinestone queen crowns ,pageant boy crowns ..